Getting the right qualification can open doors to new and better paid employment, but with so many on the market, making the right choice can be difficult. 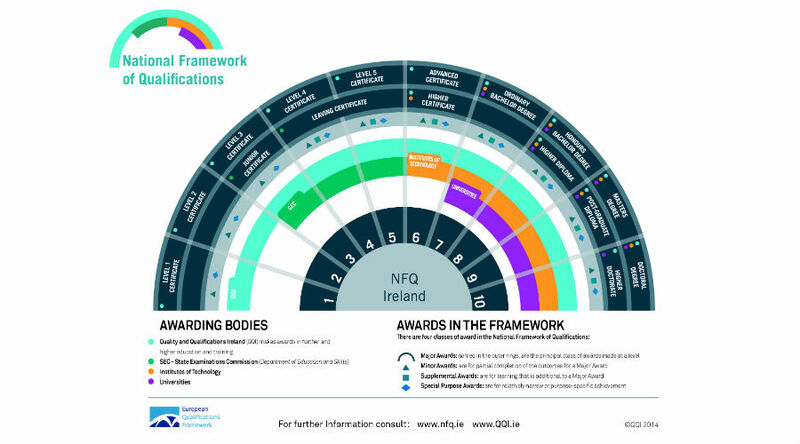 In Ireland we have a National Framework of Qualifications (NFQ) – “a framework through which all learning achievements may be measured and related to each other in a coherent way” (www.qqi.ie.) Established in 2003 and managed today by QQI, the NFQ helps learners to understand the value of the qualifications and the type of qualification they will gain if they take up a training course. But to really get to grips with all the available qualifications, check out their interactive chart, also available on the QQI website – http://www.nfq-qqi.com/index.html. This explains the different types of awards and shows their level on the framework. The higher up the framework you go, the more advanced the award so a level 6 major award is a more advanced qualification than a level 5 major award. See how you get on and if you have any further questions about qualifications – just call CTEC on 053-9121036 and we will be happy to explain the award types that we offer.